As if unlocking the secrets to effective cancer treatment isn't challenging enough, new research from scientists at the Johns Hopkins University School of Medicine has released new information showing that a gene previously known to be critical for tumor growth in a range of human cancers is also critical to the maintenance of intestinal stem cells, and encourages the growth of cells that support them. The new findings—released in the latest issue of Nature Communications in an article entitled “HMGA1 Amplifies Wnt Signalling and Expands the Intestinal Stem Cell Compartment and Paneth Cell Niche”—adds to the growing pool of evidence for the intimate link between stem cells and cancer and advances prospects for regenerative medicine and cancer treatments. The Hopkins team had been studying genes in the high-mobility group (HMG) family for quite some time. Several years ago, while creating a genetically engineered mouse that expresses high levels of the mouse HMGA1 gene to investigate its role in leukemia, the investigators stumbled upon results that suggested the intestines of these animals were much larger and heavier than those of wild-type animals (or control mice that were not genetically modified). The mouse intestines were also riddled with polyps, abnormal growths projecting from the intestinal lining that can be precursors of cancer. In fact, polyps in humans frequently progress to colon cancer, which is why they are removed during screening colonoscopies in people over 50 and others at risk for colon cancer. In an attempt to better understand how the HMGA1 gene affected the rodents' intestines, the Hopkins researchers examined the transgenic animals' intestinal cells to determine which ones were expressing this gene. Several different experiments localized the active gene and its protein to stem cells buried in the crypts or deep grooves in the intestinal lining. 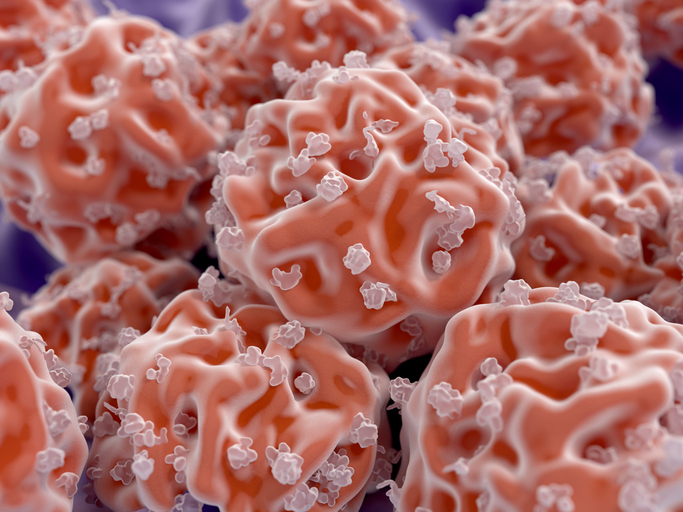 After isolating these stem cells from both transgenic and wild-type mice, the researchers found that those carrying the HMGA1 transgene multiplied far more rapidly, forming identical daughter cells in a process called self-renewal, which is a defining property of all stem cells. These transgenic stem cells also readily created intestinal tissues called organoids in laboratory dishes. These organoids had more stem cells than those isolated from wild-type mice. Interestingly, the researchers found that these unusual properties arise from the ability of HMGA1 to turn on several genes involved in the Wnt signaling pathway, a network of proteins necessary for embryonic development and stem cell activity. Moreover, not only was HMGA1 causing the stem cells themselves to self-renew or proliferate more rapidly in the transgenic animals, but it was also increasing the number of Paneth cells—a type of niche cell known to support intestinal stem cells. Additional experiments showed that the protein produced by HMGA1 activates another gene called Sox9, which is directly responsible for turning stem cells into Paneth cells. Many genes that are involved in the growth and development of embryos or adult stem cells also play critical roles in carcinogenesis. After scanning the Cancer Genome Atlas, a database of genes expressed in human cancers, the research team discovered that the activity of the HMGA1 and SOX9 genes is tightly correlated in normal colon tissue, and both genes become highly overexpressed in colon cancer. “This tells us that the pathway turned on by HMGA1 in normal intestinal stem cells becomes disrupted and hyperactive in colon cancer,” Dr. Resar noted.